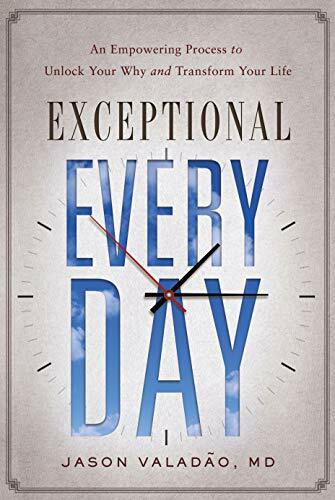 My good friend Dr. Jason M. Valadao just published his book Exceptional Every Day: An Empowering Process to Unlock Your Why and Transform Your Life. I was fortunate to receive a copy of the book before publication and wrote a testimonial (which appears on the back cover!). Dr. Valadao shares the power of what he calls The Process. I’m a process-oriented person and found the book fascinating and insightful. It’s worth the read, especially if you’re looking to improve your every day habits. Dr. Valadao has an incredible story and mentored many of my teammates. You can learn more about him on his website: jasonvaladao.com. I have some exciting news that I will be able to announce next week in regards to the Summer Reading Challenge. I look forward to sharing it! By Jason M. Valadão M.D.